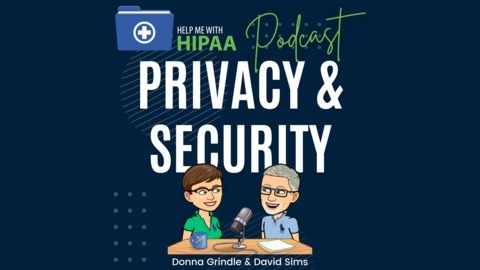 Help Me With HIPAA is a collaboration between Kardon founder, Donna Grindle, and HIPAAforMSPs.com founder, David Sims. Our mission is to share our Privacy and Security knowledge with those who want to understand how to manage privacy and security in their organization. Our discussions with clients and associates in our day to day work inspired us to launch the service to provide information about privacy and security topics in a relaxed manner without using too much legalese or geek speak. Wel cover topics that include sorting through the requirements as well as real-world examples of the procedures used, both good and bad. 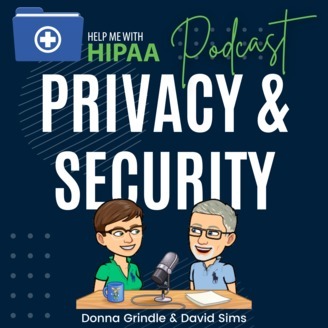 Join us as we do our best to create a show where HIPAA and humor collide! Medical record release is becoming a heated topic. There are several parties involved in the discussion. Of course, the patient and their rights to the medical record comes first. Then, you have the providers trying to meet their obligations to supply the records. But, there are also lawyers and medical record release of information companies and, of course, OCR involved. Today we will try to make some sense out of the mess.